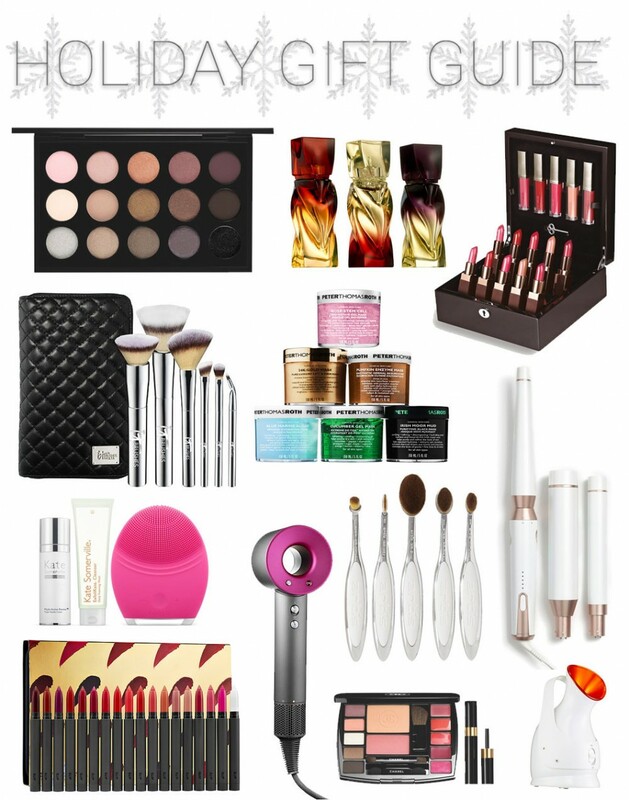 My first holiday gift guide this year is dedicated to beauty products. This is the perfect time to get the beauty lover in your life that product they have been eyeing all year long, or something new to try. Whether you’re shopping for your mom, daughter, best friend, or wife, I’ve found a few products they will love. This year we saw the rise of the oval brushes. The Artis makeup brushes come in sets with different sized brushes for different uses. You can also purchase each of them individually. If you do plan on gifting these brushes, I also recommend adding the brush cleaning pad to ensure they keep their brushes cleaned and protected. Now, I know Artis makeup brushes are a bit pricey, so I’ve got a more affordable option. I actually just got this set of oval brushes that retails for $46 from Amazon. I was really impressed with the quality and performance. They really did give me a flawless foundation look. Another set of brushes that I love are the It Cosmetics brushes. They are incredibly soft! Ulta has quite a few sets available right now like this 5 piece basics set, and the masters set. As far as hair tools go, I’ve been eyeing this T3 styling wand. It comes with interchangeable barrels to help you create different looks all with just one wand. A new product that has just arrived on the market is the Dyson hair dryer. You may be familiar with Dyson from their awesome vacuum cleaners but now their in the hair styling market. So far reviews have been good and I assume it’s got great power!. A gift any beauty lover will appreciate is a collection of different lip colors. Laura Mercier has a great set that includes 10 lipsticks and 5 lip glosses. This way they can try out both the classic lipstick and glosses. Bite Beauty has a lip crayon set that ranges in shade from light to dark. Urban Decay has a huge box set that includes 30 different shades of lipstick! For a more affordable option, check out this NYX Lip Cream vault set! Last but not least, I’ve also included some skin care items. I’ve mentioned this Peter Thomas Roth mask set before and I think it would make the perfect gift for the skin care lover. It includes 6 full sized face masks that target different needs. Another fun skin care gift is this facial steamer. It helps open up and clean out the pores, while also prepping the skin for any moisturizers and serums.